Bali’s north coast stretches along several kilometres of black volcanic coastline. Although Buleleng regency is the widest in Bali, it is not as developed as the south of the island. It has a rural charm, long beaches, vast rice fields, lakes and a multitude of small, old villages on the hills. Ducks, pigs and chickens scratch in the fields and cattle wander along the roads. Go see dolphins at sunrise. The reef-protected waters provide a calm environment for snorkeling. The north coast is perfectly situated for diving excursions. There is a PADI Center, diving courses and many boat services. Bali’s only Buddhist monastery, Brahma Vihara Arama, with the miniature of Borobudur temple, and Air Panas hot springs at BANJAR are very close to the villa (1-2 km). We especially recommend making a walking tour on foot in the beautiful surroundings near to the villa. 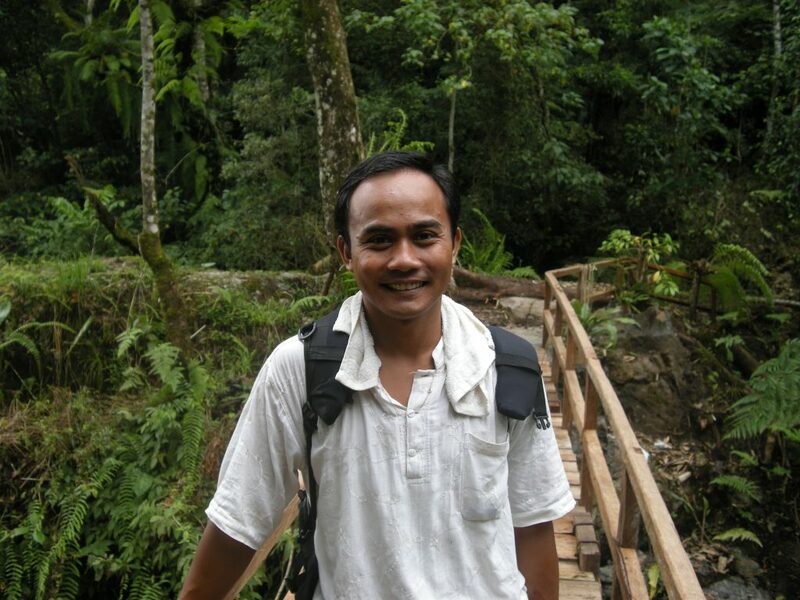 Putu Artana, a friend of ours is your guide. If appreciated you can end the tour with a delicieus private lunch at Putu’s home, prepared by Ria, his lovely wife. For more information ask our staff. SINGARAJA, the old capital, is the main town of Buleleng regency. The European design of the old buildings architecture reminds the Dutch colonial past of the island. Singaraja was also the main trading harbour of Bali. Now it is a rather busy city. Here you can find department stores to buy Western food. In the Gedong Kirta Library you can view the Historical manuscripts. Not far from Singaraja, you can visit AIR SANIH, with its natural crystal water swimming pool, fed by a water spring and the Pura Pondok Batu, a temple located on the headland with a magnificent view of the Bali Sea. 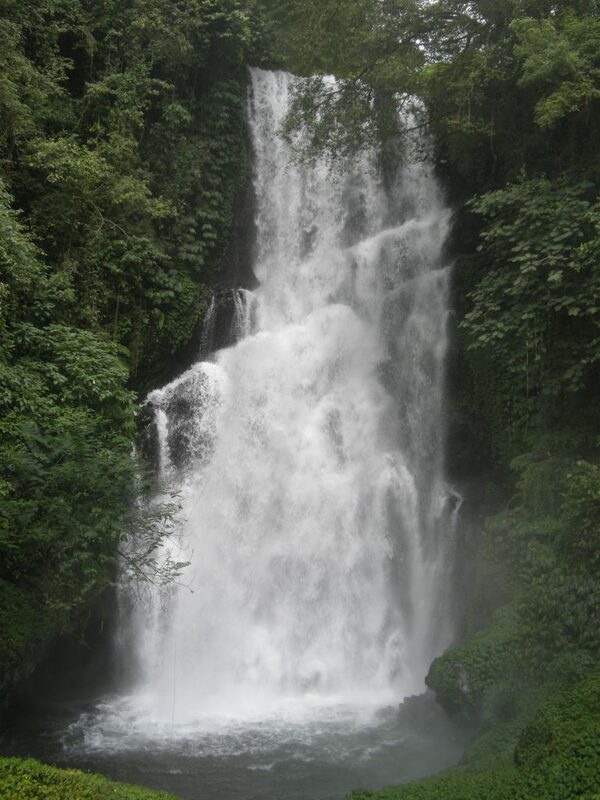 GITGIT is famous for its fresh air and twin waterfalls. Visitors keep streaming to the waterfalls, enjoy the breath taking scenery. The waterfalls, cascading down 35 meters, splashing onto the boulders below. LAKE BUYAN AND LAKE TAMBLINGAN provide a peaceful retreat for fishing and sightseeing. Hordes of monkeys line the main road awaiting the passer-by for their hand-outs. The mountain air and tropical rain forest around make this an ideal area for sport, hiking, and sightseeing. 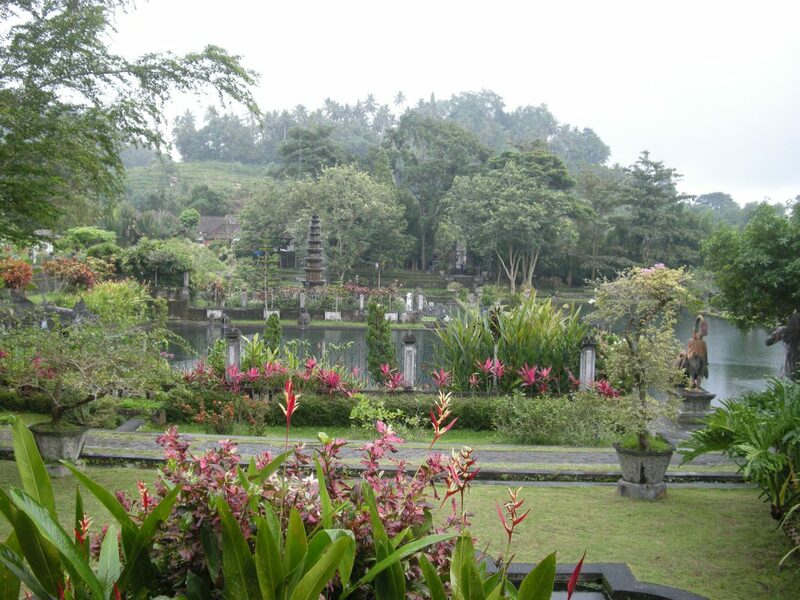 BEDUGUL is located on the main road to Denpasar., on the LAKE BATUR. 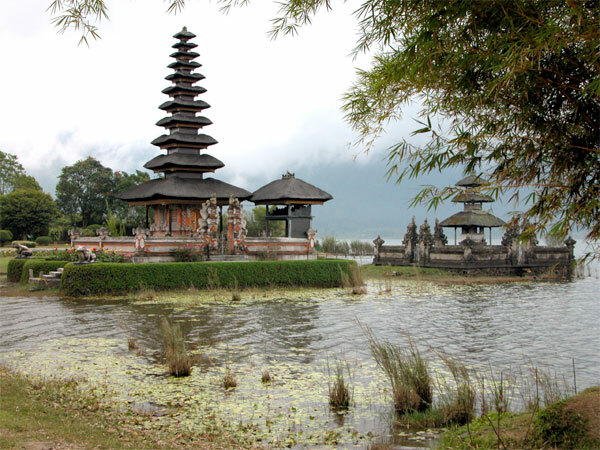 On the shore of the lake, there is one of the most important and famous temple in Bali: Pura Ulun Danu. Here you can find shops, selling local produce (including flowers, coffee and vanilla) and a lane leading up to the botanical gardens (Kebun Raya). In PERMUTERAN you can visit the Turtle Nursery Station. There is a PADI Center for diving excursions and courses. It is possible to book a night diving safari. BALI BARAT NATIONAL PARK lies west of Lovina. 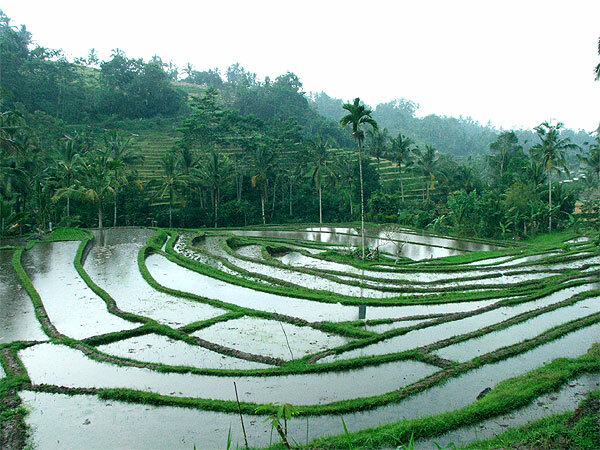 It covers an area of 77,000 ha, some 10% of Bali’s total land area. The park is the last refuge of one of the most endangered birds of the world: the Bali Starling. Bali Barat is mountainous and consists of primary monsoon forest, mangrove forest, savannah and coral islands. PULAU MENJANGAN, an island north of the mainland part of the park, is in the middle of the BALI MARINE NATIONAL PARK. It is an excellent place to explore the coral reefs. You can reach Menjangan also from Lovina, by boat. Just to the east of the Bali-Java ferry terminal, before GILIMANUK, lies the calm waters of SECRET BAY. There are no coral reefs here, but it is an important scuba diving site for searching out the odd and unusual species that form part of underwater world.